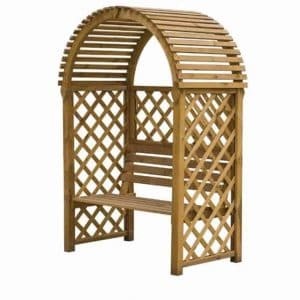 This is no ordinary arbour, and we instantly appreciated the curved roof effect. 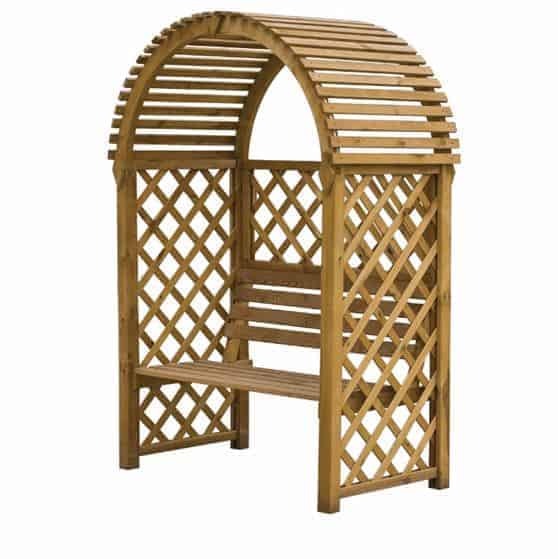 This little detail makes it more intriguing than your average arbour, and ensures that you can add a little extra to the style your garden currently enjoys. Smart and attractive,and with some great aspects that add plenty to the long-term value, it’s a good purchase. You might also like to see the top 20 wooden arbours currently on sale in the UK by visiting the WhatShed wooden arbours awards league table. 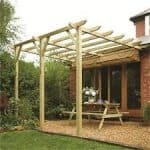 Well, the initial thoughts centre around the fact that you have an arbour that simply looks great. It has a lot of charm, and this will instantly make your friends and other garden visitors feel welcome. It’s a little smaller than some of the arbours that are out there at the moment, and this is no bad thing. Just don’t expect to seat more than two people in it. The arch is a great feature. 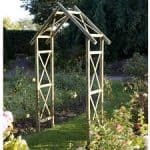 But there is also some excellent trellis work that really helps too. 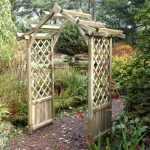 You can trail plants up the trellis work and really add to the character of the unit, and this gives you plenty of flexibility in the way you add decorative value to your garden. But let’s be honest, it’s a great-looking unit and it’d be difficult to imagine a garden it wouldn’t suit. Is it painted? No, and we like this aspect, because it means that you can add your own style and colour to it. It’s actually a benefit, because you have this great arch shape, and the blank canvas when it comes to colour. Use your plants and garden lighting wisely,and you have an amazing focal point. What kind of guarantee do we get? This unit has a great 10-year guarantee supplied by the manufacturer. 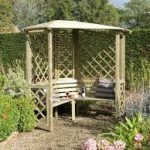 It covers against damp and rot, and is a real boost, because it means you can get on with enjoying the arbour for the years ahead. Just remember to follow the care instructions carefully. If you don’t, you may void the guarantee. Is the wood of good quality? It is soft wood, which is generally mass produced and treated. The wood is pressure treated though, which is rare in a product at this price. This treatment means that you don’t have to worry about treating the wood on an annual basis. 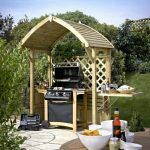 Instead, the pressure treatment allows you to enjoy a tough and durable timber that resists rot. 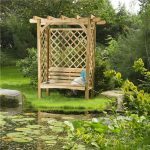 Blooma Chiltern Wooden Arbour: So what’s the quality like? The pressure treatment takes care of any quality concerns you may have. The pressure treatment generally ensures that you don’t have to worry about rotting or any other issues caused by water, but at the same time all of this has been taken care of at the factory. The quality is, therefore, very high. It’s a great-looking arbour. Reasons to buy are simple, and centre around the shape and the potential that brings for your garden style. But don’t forget that it has a long life due to the pressure treatment. This adds tremendous value for a very low cost. This blooma chiltern arbour was something that I have been looking for, for a very long time. 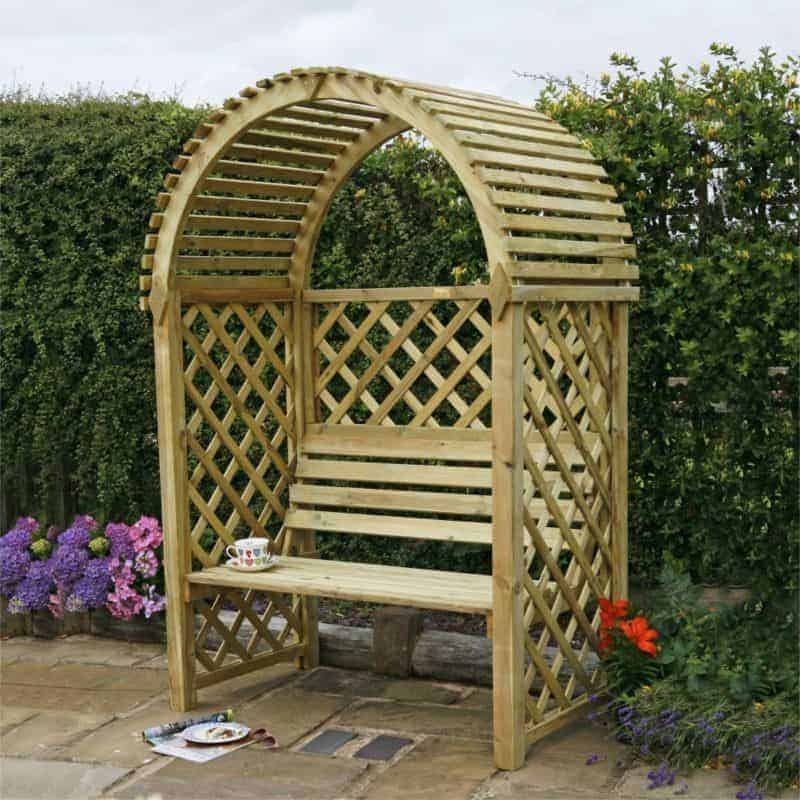 I have always wanted an arbour where I could also sit in the bench. I went to someone’s house before and they had one of these. Ever since then I knew I had to buy one. This one was the size I had been looking for. I liked how it wasn’t painted and that the roof was an arch. It is very stylish, and something that I am going to keep around forever, especially with how the construction is. I know it will last. 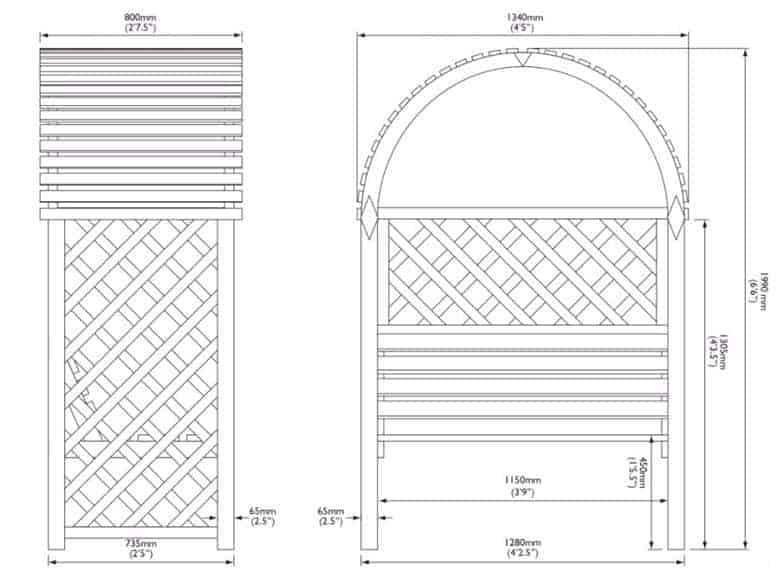 My grandmother has always had an arched arbour at her house. She had never seen one with a bench in it. I decided I would surprise her and I bought her one of these. She had her other one in the front yard, so I figured she could put this one in the backyard. She loves it and says she has never seen anything like it. She likes the way it was constructed. It’s the right size for her and my grandfather.